A company may earn money from various different non-operating and operating sources. It may also pay for several different expenses which may be continuous or one-time. Therefore, Net profit or net loss is the difference between indirect expenses and indirect incomes of business. The term “NET” means the amount of money remaining after all deductions from a company's earnings. In the accounting profession, net profit and net loss is defined as the remaining difference between indirect expenses and indirect revenues. 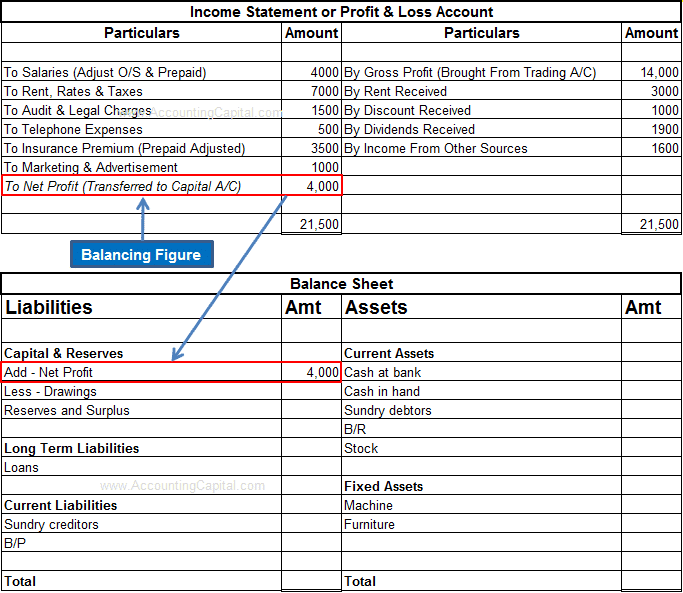 After all the relevant indirect items are recorded in the income statement in their debit and credit columns, the difference is calculated to determine the net profit or net loss. 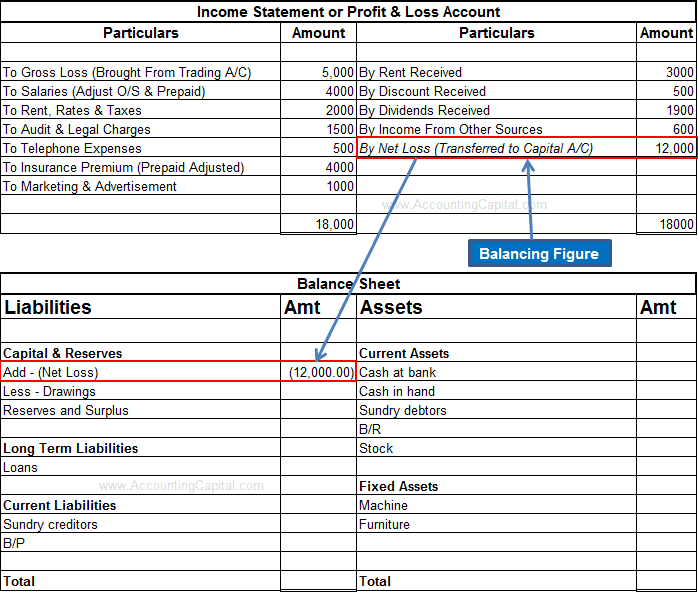 The net profit or net loss is transferred to the capital account of the company.